Based on Caspary’s description of Waldo’s appearance, I guess it was no wonder that Zanuck envisioned Laird Cregar in the role (a brilliant actor, but Preminger absolutely didn’t want him, for the reason that the audience would immediately identify him as the “villain”). 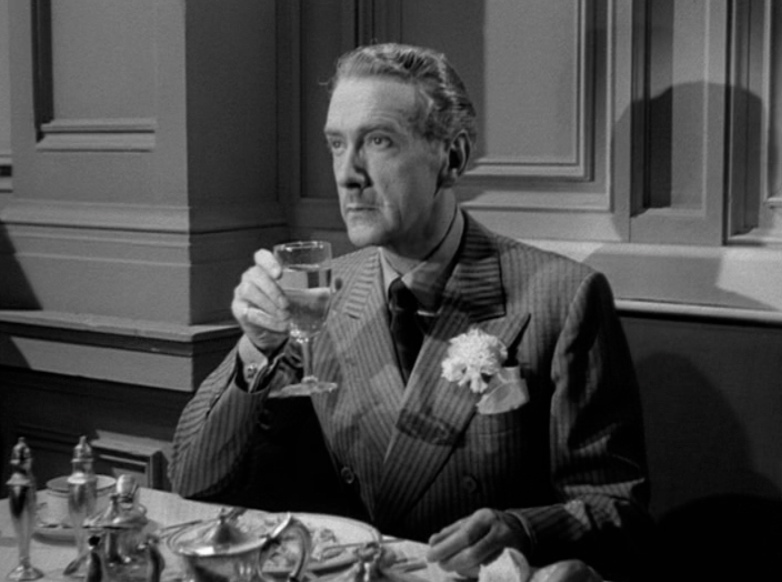 Preminger’s idea (still from the position of the film’s producer, since the direction had initially been given to Rouben Mamoulian) to cast Clifton Webb was a stroke of genius. 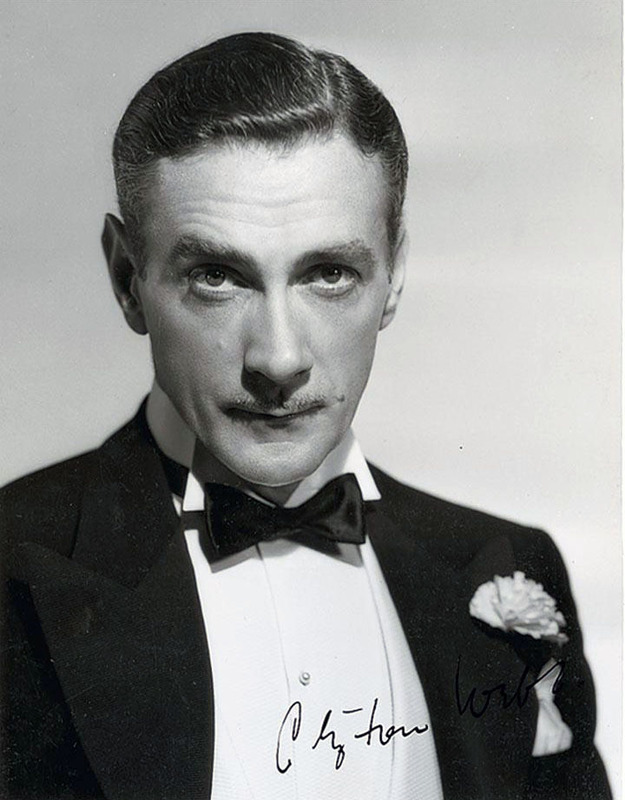 Clifton Webb by Clarence Sinclair Bull, during his short-lived MGM contract, late 30s. He never made a film, and returned to stage. The magnificent opening scene of Laura from the very first seconds indeed reveals a fundamental clue for Waldo’s personality: his “collector” side. It soon becomes obvious that his acquisitive nature is a form of of extreme possessiveness – and that “excess” is a key word, a determining factor in Waldo’s personality: every merit he might have becomes a negative point exactly due that excess. The most interesting thing concerning this is that it will prove to also apply as far as his sentimental world is concerned, although Waldo at first sight may seem cold, sarcastic and not exactly overflowing with emotions. Just as he collects beautiful, precious objects, he eventually wanted to possess the most priced piece he ever discovered, Laura. The devotion he showed in advancing her socially and professionally, in shaping her appearance (with a precision and obsession compared only with Scottie’s in Vertigo) and in introducing her to his own art, literature and music preferences show a man that’s not void of passion – albeit a passion out of balance and control. Waldo obsessively ADORES Laura, his magnificent creation, the most valuable and irreplaceable piece of his collection. A piece which, furthermore, he CREATED himself. Laura – being his ultimate masterpiece – elevates him from a mere collector to an artist, a creator. But does he LOVE the WOMAN? Does he even see her as she truly is? Moreover (a question bound to be examined when Mark and Laura will be discussed), do WE see Laura as she truly is, since all her hype was built by Waldo’s SUBJECTIVE description of her to Mark (masterfully visualized for us by Preminger, in superb flashbacks)? Does she really live up to that hype, after she comes back “from the dead”? 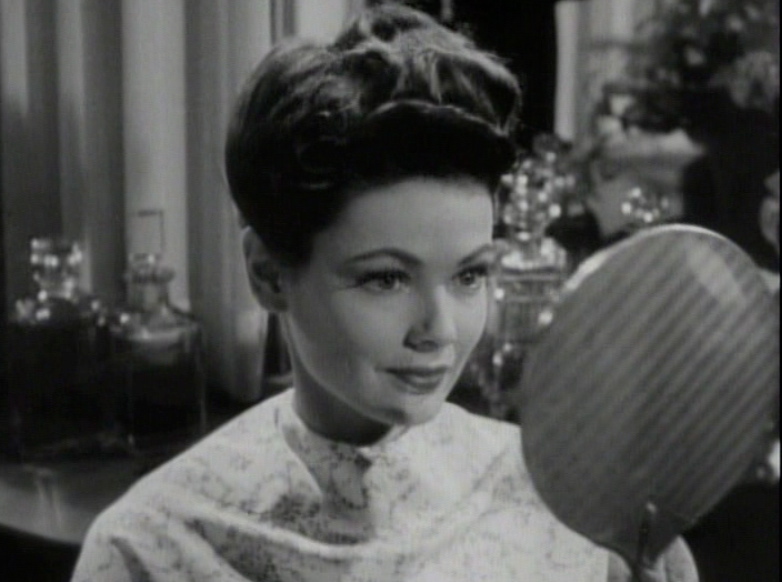 As Shelby loves her too little, does maybe Waldo love her “too much” (as it is said about Helen, the psychotic heroine Gene Tierney played in Leave Her To Heaven the following year)? Again, “excess”comes to mind. Waldo certainly sees in Laura the potential to be his dream woman, and subsequently sees her (and treats her) as the enticing vessel for his desires, attempting and managing – up to a point – to shape her (not without HER consent) into this fascinating, sophisticated creature that “men admired and women envied”. To a certain degree, isn’t that projection of our self-generated desires what we all sort of do when it comes to love? Waldo of course, being this excessive, out of control person, takes that to the extreme. He does love HIS Laura, the one he WANTS to see, and hopes that she will realize his feelings and reciprocate. As far as the literary Waldo was concerned, things were rather simpler from a psychological point of view. It is clear that he and Laura initially had a physical relationship – but after the lovely “creation” gained her autonomy and more self-confidence, Waldo turned from a lover into a father figure. That was certainly a source of understandable and obvious frustration, pain and anger for the rejected ex-lover. Hints of impotence are also existent, as the very choice of Waldo’s murder weapon suggests: a gun hidden in his cane (as Freudian as a weapon can get, really!). In the film, however, not only does Waldo use a different kind of weapon – a shotgun which hides in one of the twin clocks, the one he gave to Laura (a choice of weapon not void of symbolism, either) – but more importantly, he has never dared to make any sexual advances towards her. Is there a timid man underneath this relentlessly caustic facade, a man who doesn’t dare to express his feelings, due to fear of rejection and personal insecurities, ending up channeling his sexual frustration into ruining Laura’s love life, and ultimately into murder? 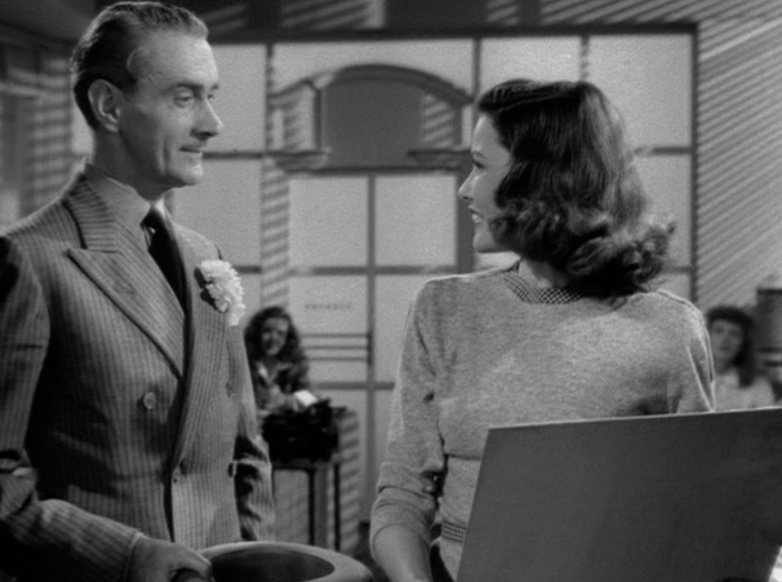 Strong hints of insecurity are present in the film: Waldo seems obsessed about Laura focusing on a perfect male physical appearance (at least that’s what HE believes…). 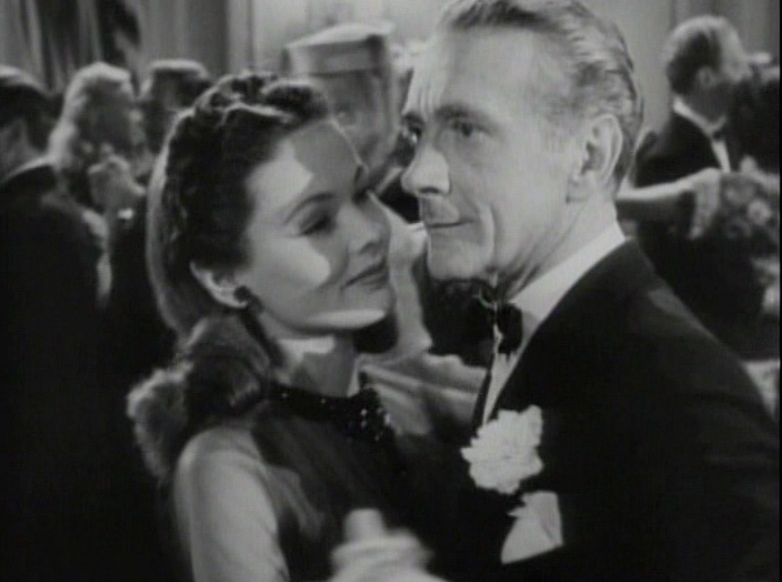 In two different moments in the film he accuses her of this – of liking “lean, strong bodies” referring to Shelby, and of liking McPherson because he is “muscular and handsome”. The second time he mentions that, he is about to finally make his confession of his love to her – but at that very moment, Mark interrupts them entering the room. Some have characterized Waldo as “asexual”, some as “sexually confused”, several others even as “obviously homosexual”. I personally perceive the FILMIC Waldo as a sexually insecure man, who wants but does not dare to act upon it. Furthermore, he feels hurt that Laura does not – or pretends not to – recognize the range of his feelings for her. One finds it very hard to believe that she hadn’t realized that he was in love with her all that time they spent together. Maybe she felt she owed him too much to either tell him straight she is not in love with him, or to just stop seeing him altogether. Moreover, Waldo – always with the excess that characterizes him – is quite the sentimentalist, contrary to what appearances show. Laura managed to really get to him from the first time he met her, perceiving her as someone who could (finally) see through him, without him having to say anything. When the young, not yet sophisticated, Laura tells him (after his initial abrupt refusal to endorse the pen she suggested him, so as to help her out with her career): “but you write about people with such real understanding and sentiment”, Waldo answers (with his trademark Wilde-like wit): “the sentiment comes easy at 50 cents a word”, to get a response he didn’t expect: “you’re a poor man, I’m very sorry for you”. That phrase truly penetrated Waldo’s wall of seeming indifference; he felt that this young woman really pierced inside him, and felt his vast loneliness. Maybe he overestimated her a little, as someone immensely perceptive, expecting her to know and realize he is madly in love with her. Such an interpretation of Waldo (which is very much founded in the film itself) reveals a sensitive, lonely man, that uses his caustic tongue and pen to hide his vulnerability. And Laura, becoming his biggest weakness, left him totally exposed (even without her being at fault about it). In one of his discussions with Mark, Waldo tells him: “for her, I tried to be the kindest, gentlest, most sympathetic man in the world”. 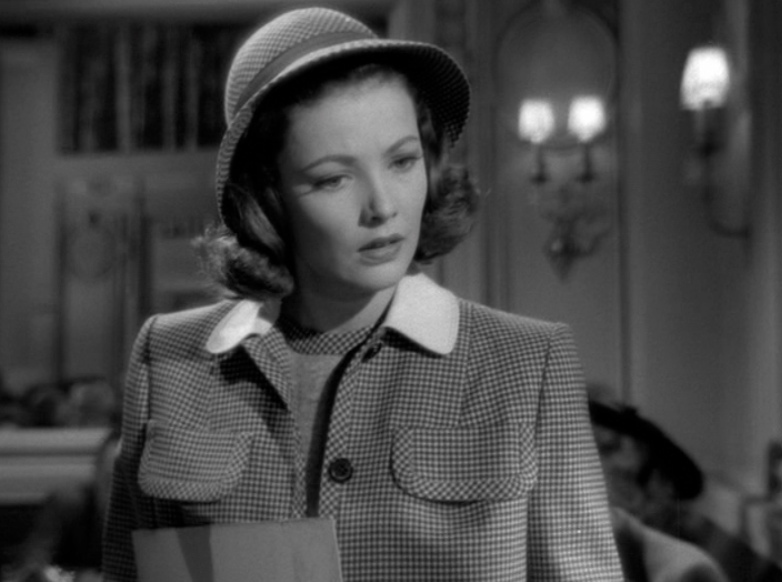 As Olivier pointed out in his analysis of the film’s opening scene, this is indeed a “reformed misanthropist”, one who saw in Laura someone who could see his sensitive inner self, and who CARED enough to see it. He believed and even welcomed that she could turn him into a better man. 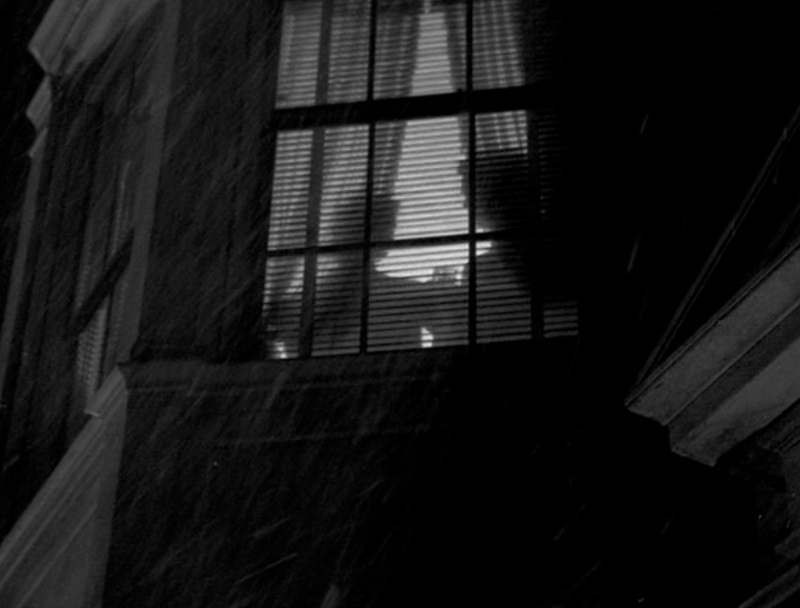 The scene where Waldo watches Laura and Jacoby (the painter of her portrait, and her romantic interest at the time) – an incident which he quite truthfully narrates to Mark, shown to us in flashback – under her apartment, at night and in heavy snow, is for me the beginning of the end: he had never been this vulnerable, nor had stooped so low as to actually wait in the freezing cold, just to watch something as hurtful as Laura having a nice evening with her lover. 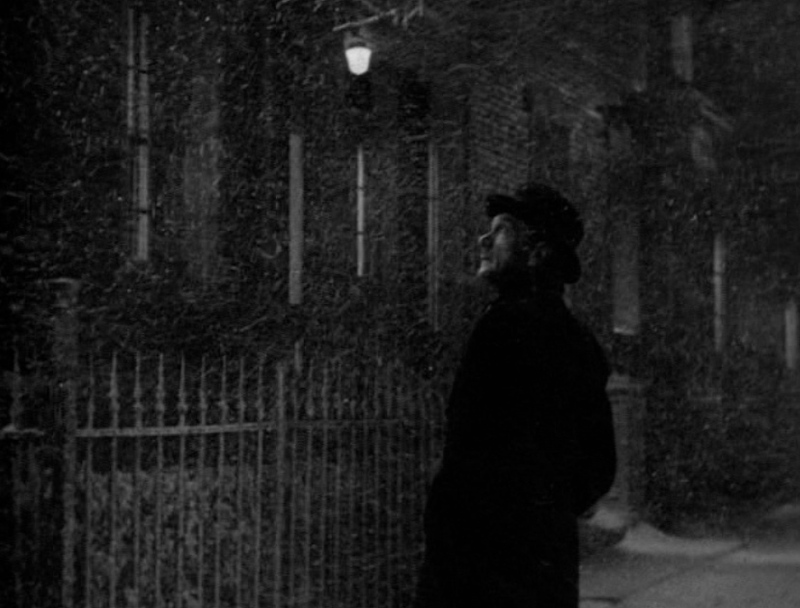 This incident must have had a destructive effect to this person who chose that woman to allow her to see his vulnerable side; it must have been a terrible blow to that extremely proud man… I find Webb’s expression while watching the two figures behind the window, under the heavy film snow, one of the most touching and emotional moments of the whole film. As for Waldo’s “homosexuality” that some authors and reviewers have “positively detected” (a few in fact detect homosexual manifestations in Shelby and Ann, too, while Foster Hirsch even goes as far as to claim that Laura herself might be hiding “some sexual surprises of her own”…), I personally do not find any actual, definitive basis for this in the film – where ANY point made should be based on, to begin with – apart from the scene where Waldo receives Mark at his apartment while sitting in his bathtub, and then stands up in front of him, asking him to pass him a towel. I do not consider Webb’s real-life sexual orientation, or even natural manner, as “proof” for the CHARACTER’S possible homosexuality, and as for the bathtub scene itself, it establishes Waldo’s eccentricity and his determination not to interrupt his daily program for anyone, let alone a cop, and moreover in his own apartment. The other argument that’s derived from the film, and is used to support the opinion that Waldo is “obviously gay”, is his phrase to Laura: “the best part of myself, that’s what you are”, which he utters just before he tries to kill her. It is interpreted by some authors as his confession that he sees Laura as some sort of an extension of himself – which would essentially make him interested in her only in a platonic way. I have to say that an interpretation that claims Waldo to be gay, and to simply be acting on a murderous rage, because his “creation” defied his wishes/commands – or that he sees Laura as what he himself wanted to be – doesn’t comply with the film’s story and emotional core, which is a story of a shared dream between two men. 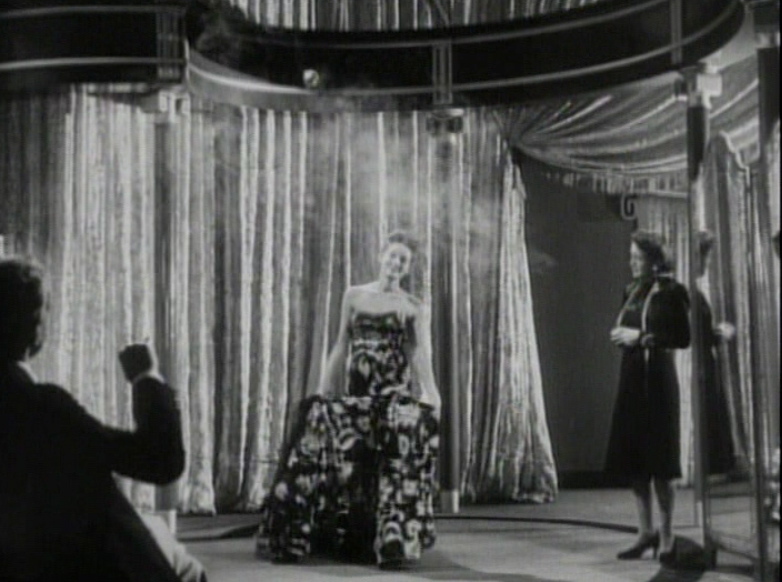 This entry was posted in Uncategorized and tagged Clifton Webb, Darryl F. Zanuck, Laird Cregar, Laura, LAURA (film), Laura Hunt, love, Mark McPherson, Mise en scène, Otto Preminger, sexuality, Vera Caspary, WALDO, Waldo Lydecker.